Time tracking is simple, just click anywhere in the app on the play button, and Freelo starts tracking the time over the selected task (You can choose the task later). Whatever you are in Freelo, you’ll have in the header if you’re tracking or not. Time tracking is always visible in the header. How to use Time tracking in Freelo? By clicking on the play icon will change to the red square. Likewise, the timekeeper starts in the header. When time is running and you’re starting to do something new, just click play on that new task. 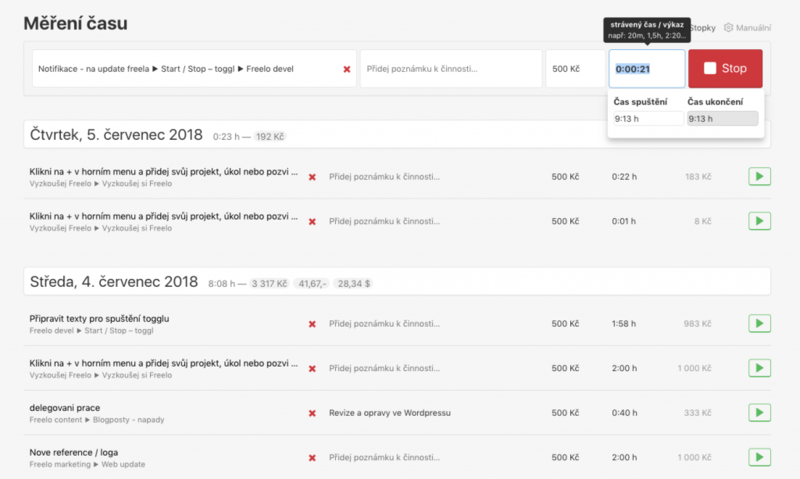 Freelo automatically saves the previous report and begins to track straight to the new task. It does not happen that you will lose some tracked time. slip through your fingers for some time. Such a statement is saved for the time being without the assigned task. You can fix that later, perhaps when you have more time. A typical case is when a client calls. Simply click on the header to stop, pause and save the currently running time and immediately click on the play again. This starts with a new report that you later assign correctly to a task that may be related to the phone call. Time measurement can be switched on whenever you are in Freelo. Just click the play icon in the header. You have the keyboard shortcut ALT + Shift + S (or if it does not work, try CTRL + ALT + Shift + S). It starts or stops the measurement. If you are on the task detail, it will start tracking it directly. An important part of Time tracking is an overview of all reports. You can get it by clicking on the Time Measurement in the menu or directly on the Timer. A list of all your statements. This is also the place where you can easily assign reports to tasks. If you enter your hourly rate and time information at the same time, we will show you the total amount. For ex. 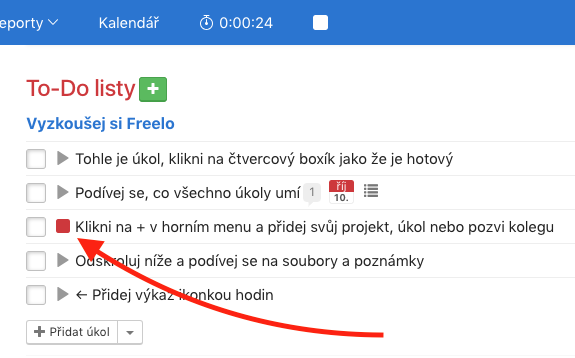 I have an hourly rate of 500 CZK and I’ll spend 1.5 hours, so Freelo automatically displays another column with a total amount of 750 CZK. 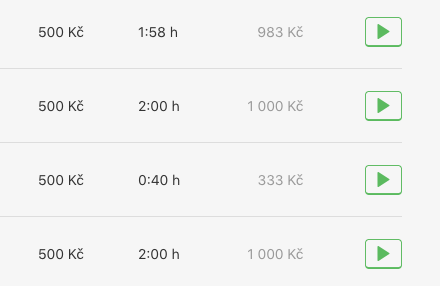 In the right column, you can see the total value when the time is multiplied by a clock. Where did the manual time / cost reporting disappear? You do not have to worry, manual reporting is still in the Freelo. We just made it a little easier and moved a little further. You will find it under the icon of the right clock on the task line, or instead of seeing the sum of all the statements above the task.